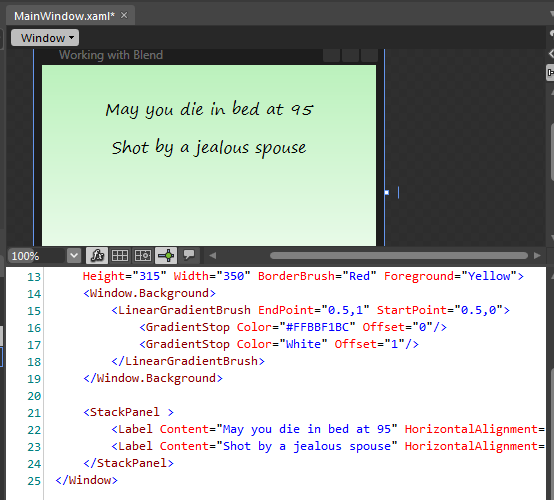 You can create a linear gradient directly in XAML using the <LinearGradientBrush> element. You can also use the the tools in Blend to create a gradient. 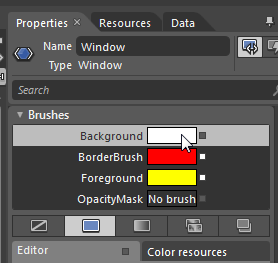 Let’s create a new gradient to use as the background brush for a Window. 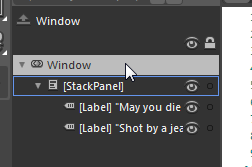 Start by selecting the window object. Now click the Background property on the Properties panel. 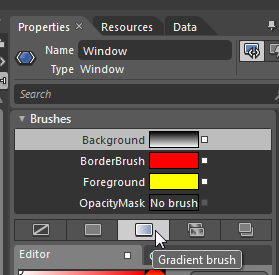 Select the gradient brush option. 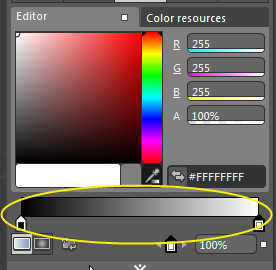 You’ll see that the default gradient has two gradient stops, going from black to white. 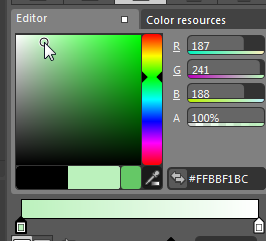 Click on the black gradient stop and select a new color in the color palette. This will change the first gradient stop, so the gradient will now run from your new color, to white. Your Window now has a gradient background.